At the beginning of the year each child has been issued a new jotter and reading record. The children can complete homework activities in their jotters. This half term's homework tasks can be found at the bottom of this page. Below are examples of homework activities that the children have completed. 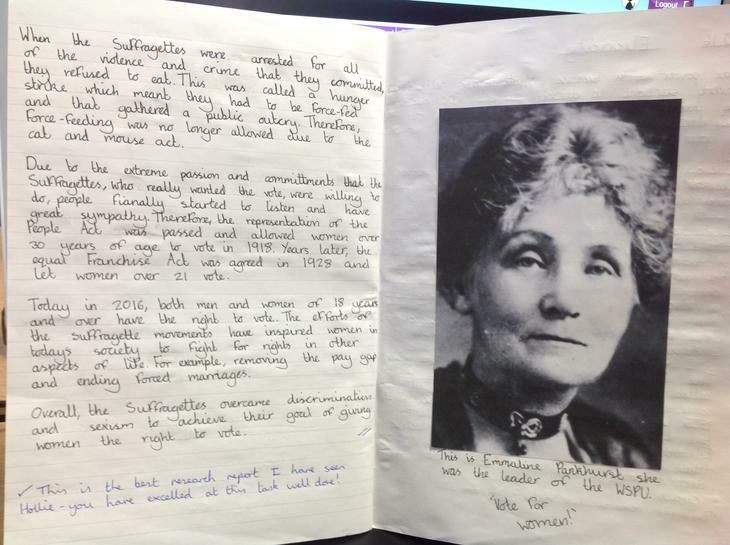 Some fantastic homework from Year 6! 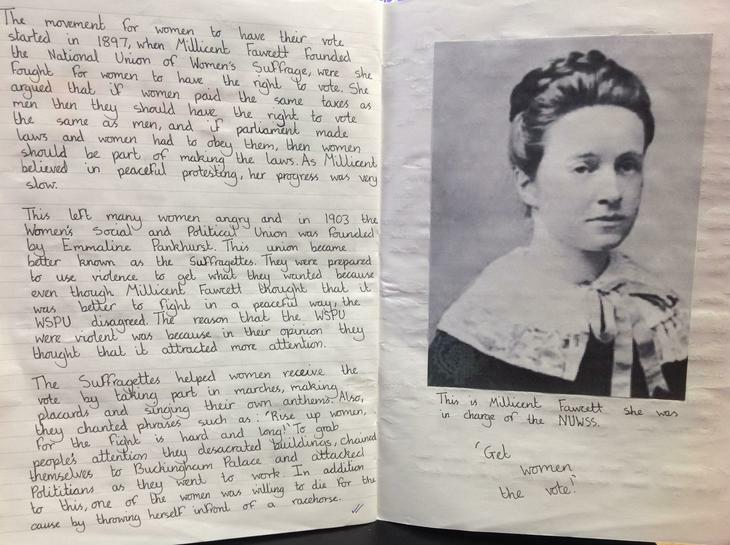 Hollie (Year 6) completed some amazing research in order to create a fantastic fact file about Suffragettes. 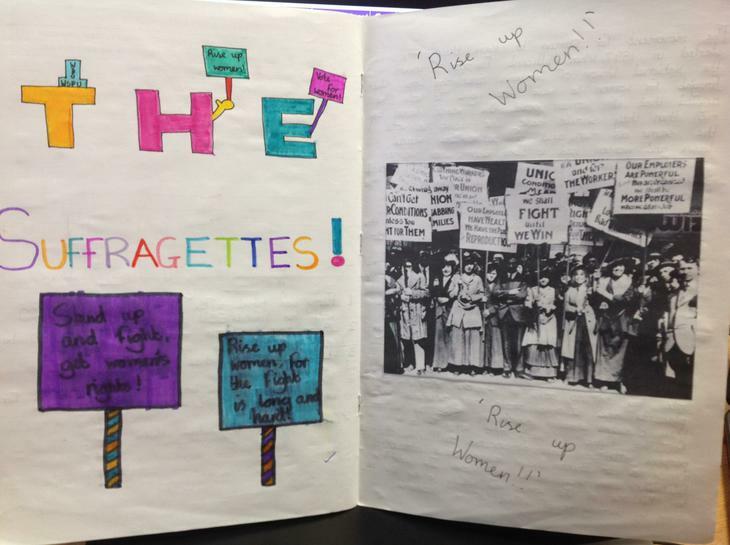 There has been some excellent work going on in the Year 6 homework jotters recently! Lily and Ellie (Year 4) drew some excellent Roman soldiers and labelled them for their homework. If you have any questions regarding homework, please see the class teachers or team leaders.